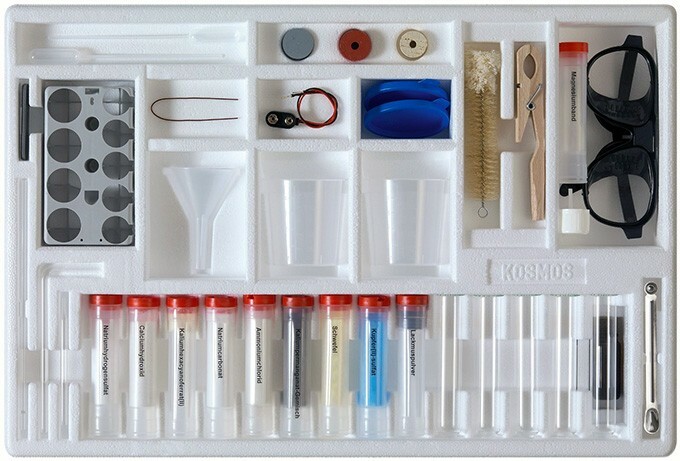 When basic chemistry sets are too simple, this massive set from Thames and Kosmos is just the thing! 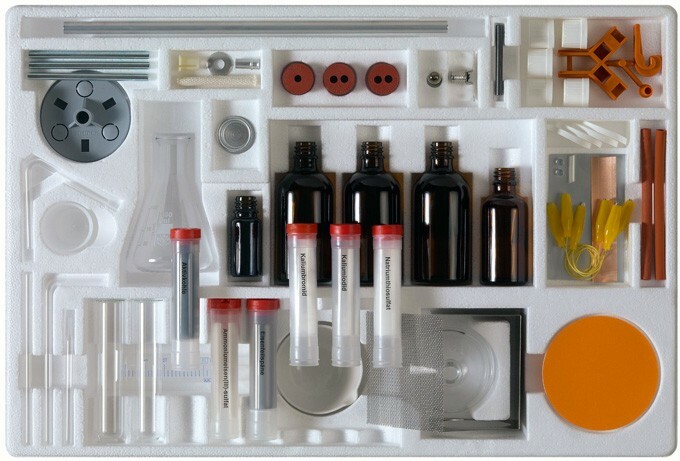 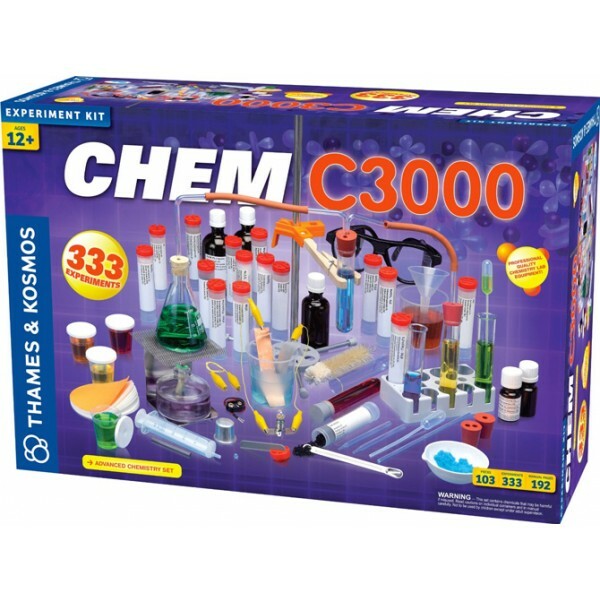 This chemistry set includes dozens of additional tools and chemicals compared to smaller sets, and 333 experiments that teach more advanced topics such as chemical equations, atomic structures, and the periodic table. 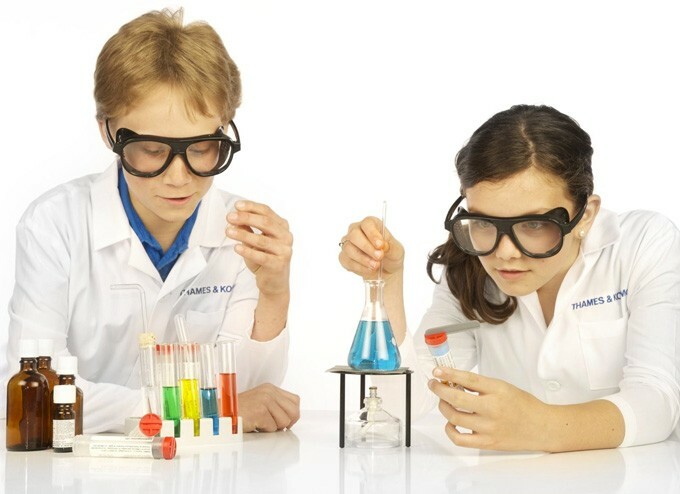 The concepts this set teaches are critical to continued study of chemistry and make excellent preparation for high-school level chemistry. 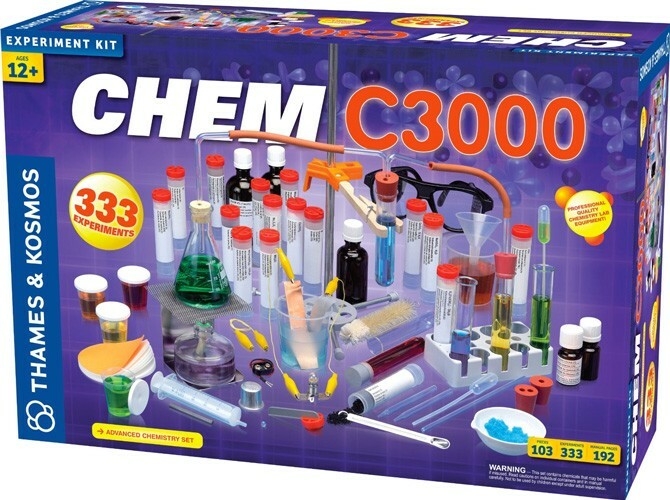 The 92-page, full-color manual provides more complex instructions and assumes a higher level of understanding, making this set perfect for the rapidly advancing young chemist.